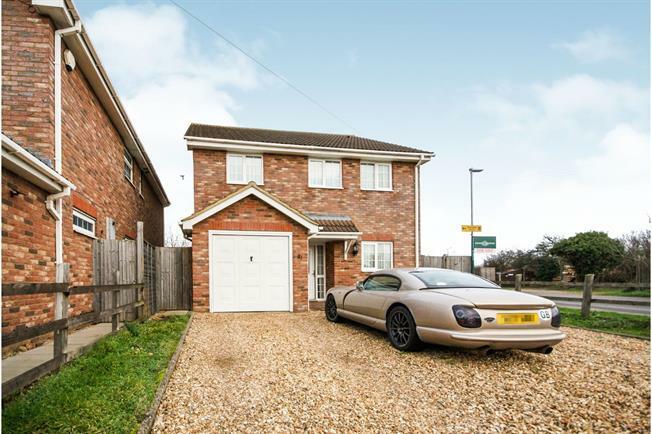 4 Bedroom Detached House For Sale in Bedford for Asking Price £450,000. An impressive four double bedroom family home in the popular village of Houghton Conquest, with over 1700sqft of accommodation. The property comprises of entrance hall, kitchen with utility attached, large 18ft lounge, separate 16ft dining room and W/C. The first floor offers four double bedrooms with en-suite to master bedroom the further three bedrooms are all serviced by the main bathroom. Externally you have large gravel driveway leading to integral garage, rear garden with patio area. The home is located in a great position with great views.